Above: Land Life visited the camp in March and received a warm welcome from the smallest inhabitants. Land Life Company is joining forces with UNHCR to bring an innovative model to UNHCR operations ; "The Green Refugee Camp"
Sponsored by the Nationale Postcode Lotterij in the Netherlands, Land Life and UNHCR will be rolling out a sustainable approach and tools to manage refugee camps' shelter, food and surrounding environment. Over 2 years, UNHCR and Land Life Company will plant a total of 40,000 trees in Minawao Refugee Camp in Cameroon with the refugee and local community to restore the severely degraded lands in and around the camp, providing shade, food and healthy soils for the refugee communities. Other elements of the project include building sustainable, locally-sourced shelters and providing eco-friendly cooking alternatives to prevent further illegal logging of the trees. This unique project brings to life a new mindset around the environment and sustainability into the world's largest humanitarian organisation. The Green Refugee Camp brings together two of the biggest challenges of our time - the health of our planet and the plight of refugees - in a positive and productive way. 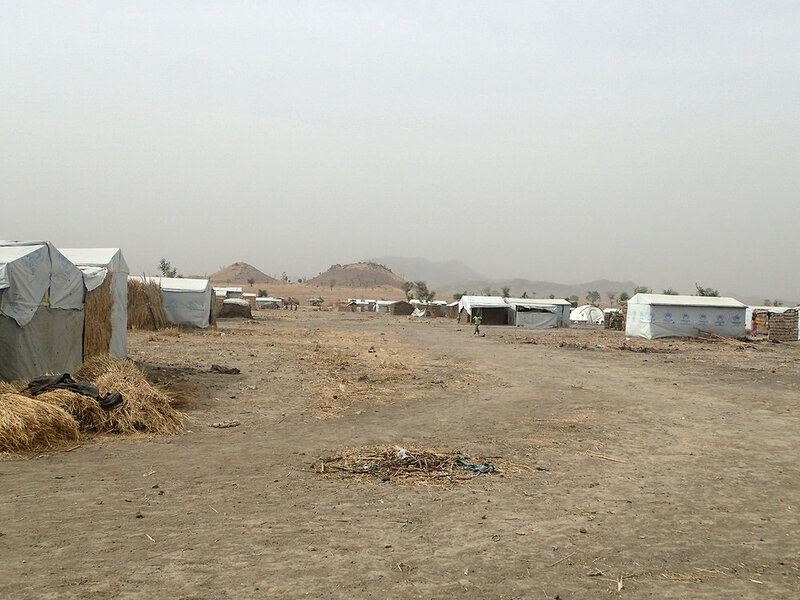 Most families here have escaped persecution from Boko Haram in neighbouring Nigeria.